No hidden Costs. No In-App Purchases. Completely Free. 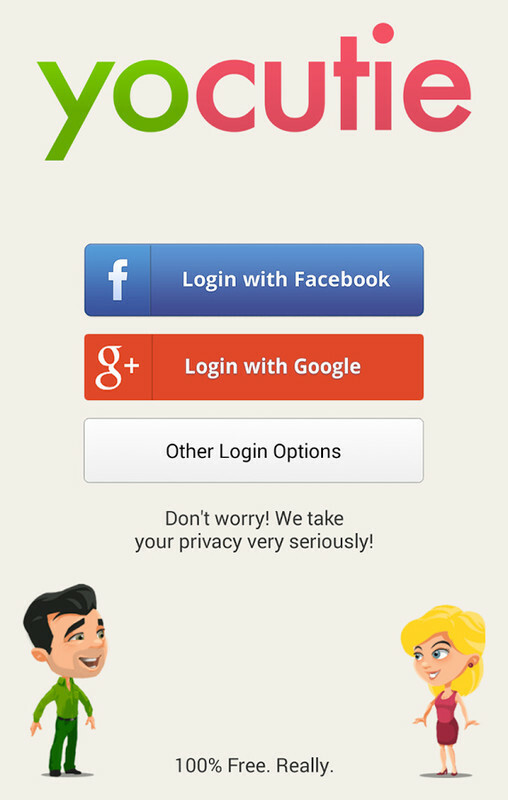 Record your own short dating video and watch other videos inside our beloved App. Swipe through Profiles and Pictures of other Cuties, set Yo's and soon as there is YoCutie Match you can start getting in touch. 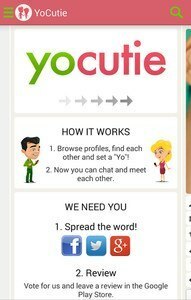 YoCutie is your new Flirt & Dating App! 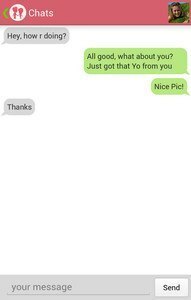 Online Dating is now finally easy & cool. YoCutie is completely free and always will be. Meet new people today. Find your Love! Your soulmate is waiting for you. 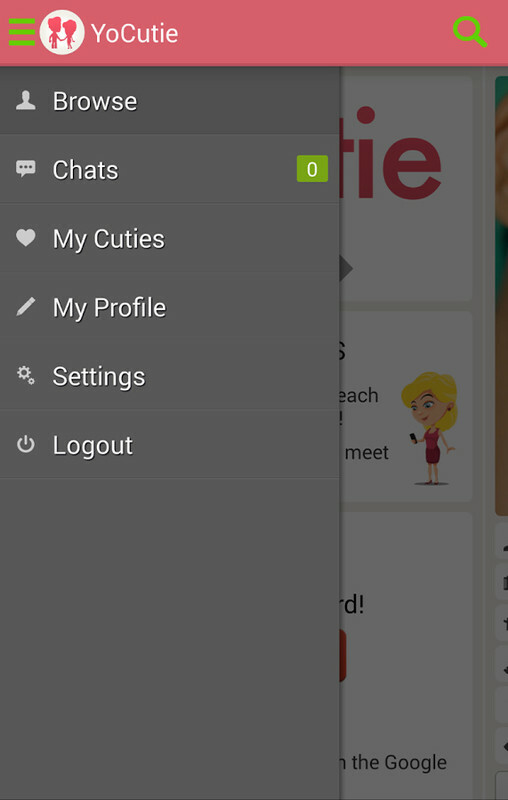 Meet other Singles (girls & guys) around you! We stand behind our name. 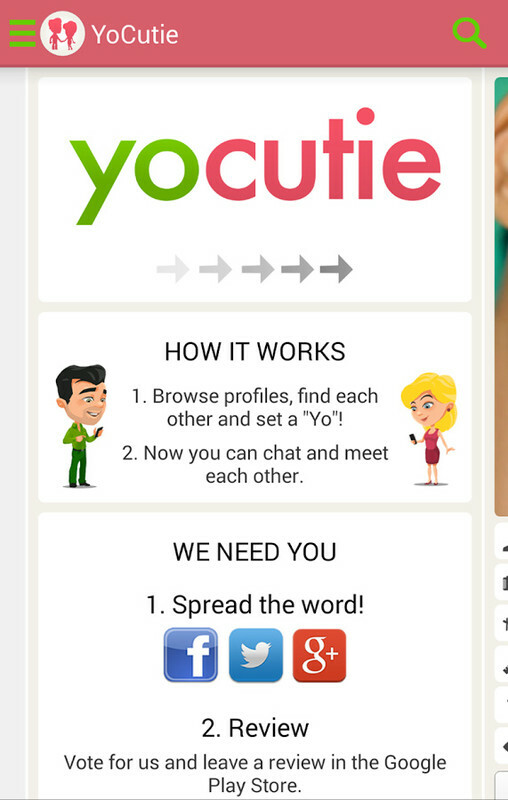 YoCutie is all about dating, flirting, chatting and finding your new dream partner. The good about it is that you get only in touch with people that your really interested in. This way you will never get a message from somebody who you don't like. We support Facebook, Google+ and E-Mail Login. No matter if your living in New York, Houston, Sydney, Los Angeles, Boston, Chicago, Dallas, Philadelphia, Washington or Miami. Your Cutie is waiting for you. Remember that we are not YoDarling (Yo Darling) anymore! It's YoCutie now!